The Nigerian Navy Direct Short Service Commission (DSSC) Course 25 Special Enlistment for Medical Consultants List of Shortlisted Candidates for Interview/Screening Published for 2018. This is to inform all applicants whose names appear below are shortlisted for interview into the Nigerian Navy Direct Short Service Commission (DSSC) Course 25 Special Enlistment for Medical Consultants. 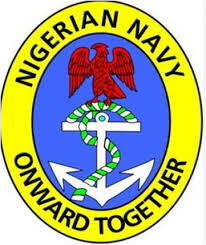 Shortlisted candidates are to report at the Nigerian Navy Secondary School Ojo, Lagos State on Wednesday 04 April 2018 for an interview which will take place from 04 to 10 April 2018. 6 DSSC25/2018/DEL/13/0000263 Boi Lucky Boi Lucky Burns & Plastic Surgeon. 3 DSSC25/2018/KWA/2/0000009 Daromosu Habibat Yetunde Ophthalmologist. a. Duly completed Registration Forms. (1) National Identity Card (acknowledgement slip admissible). (2) First School Leaving Certificate and Senior Secondary School Certificates (WAEC, NECO, etc). (3) Certificates from tertiary institutions. (4) Evidence of fellowship of West African Colleges or National Medical Colleges in respective specializations such as FWACS, FWACO, FMOG or equivalents obtained from foreign institutions. (5) Certificate or Registration with the Medical and dental Council of Nigeria. (6) Certificate of Registration of Additional Certificates. (7) Federal Ministry of Education authentication of foreign certificates. (9) Birth Certificate/Declaration of Age. (10) Certificate of Local Government of origin. (11) Two (2) recent coloured passport-sized photographs. d. Three pairs of white (unmarked) vests and navy blue shorts. e. A pair of white canvas shoes/trainers. f. Two bed sheets and pillow cases. Candidates who fail to report on 04 April 2018 will not be allowed to partake in the interview.